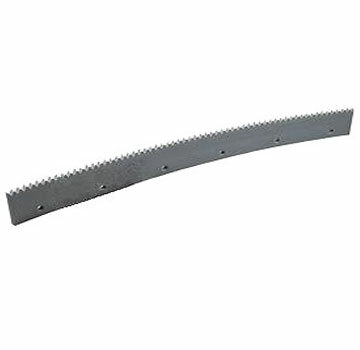 PRODUCT: 18" Long x 3/16" SERRATED EDGE, GRAY EPDM RUBBER REPLACEMENT SQUEEGEE BLADE. Fits most popular squeegee heads. PRICE/EACH.